Organic Lavender Fine Essential Oil is the rarest of all lavender oils, since it is only produced in limited quantities from plants cultivated in specific fields designated as ‘lavande vraie’ (true lavender). 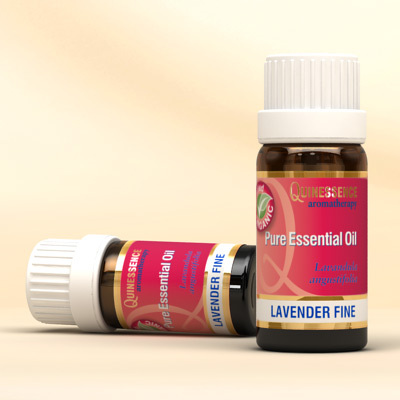 This exceptional essential oil is usually reserved for the specialist aromatherapy and natural health market, rather than all the usual areas where lavender oil is employed. Although it is a little more costly, it is still extremely good value for such an outstanding oil. High altitude lavender oil appears to have the ability to uplift the mind whilst being powerfully relaxing to the body, making it indispensible for rebalancing and calming states of anxiety, agitation and frustration. Organic Lavender Fine Essential Oil has a classic, well balanced sweet floral fragrance that is superior to most others, and is often the choice of the aromatherapist, as well as the natural perfumer.